On Thursday, the hashtag #IStandWithVikasMishra was trending on Twitter for a long time. 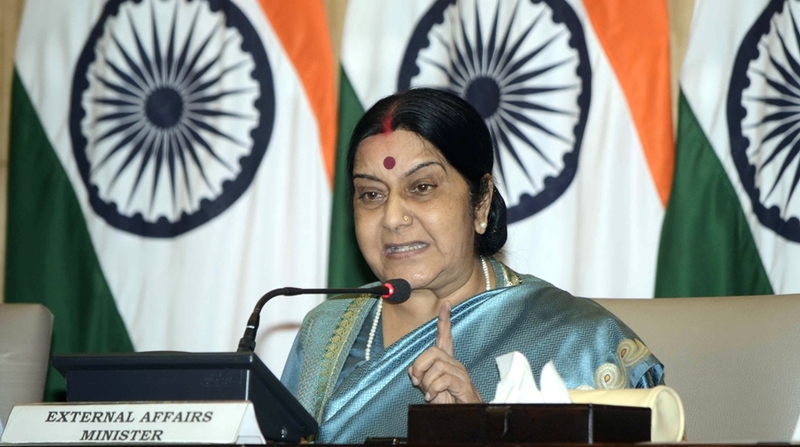 External Affairs Minister Sushma Swaraj is known for taking prompt action on travel-related issues Indian citizens face abroad. 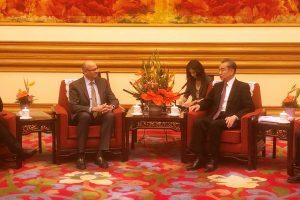 The minister is also quite popular outside India for coming to the aid of people whenever they seek her help with matters that come under the purview of the Ministry of External Affairs. Swaraj’s efficiency in handling the crucial foreign ministry has often earned her best ratings among the ministers in Prime Minister Narendra Modi’s Cabinet. Whatever be the problem – passport, visa, consular access, etc. – the Union minister is just a tweet away. The popular minister omnipresent on social media, however, appears to have turned off the ‘review’ option on her official Facebook page. According to reports, the reason behind taking off the review option was taken after right-wing trolls flooded her page with 1-star review for her decision taken in the case of the interfaith couple in Lucknow who had alleged that a passport officer had misbehaved with them. On 20 June, couple Mohammad Anas Siddiqui and Tanvi Seth had alleged that a passport officer post in the Regional Passport Office in Lucknow asked Anas to convert to Hinduism and pulled up the wife for not changing her name after marriage. The passport officer, Vikas Mishra, was transferred to Gorakhpur and the couple were issued the passports on Thursday, 21 June. Mishra later denied the allegations saying he didn’t ask Anas to convert. He said he only followed the procedure and that Tanvi had a different name in her ‘nikahnama’ (wedding certificate), compared to that in her other documents, which was why he had asked for more proof. The decision to transfer Mishra did not go down well with a section of the society who then took to posting poor reviews on the minister’s official Facebook page. Many users expressly wrote that they were giving 1-star rating in support of Mishra. 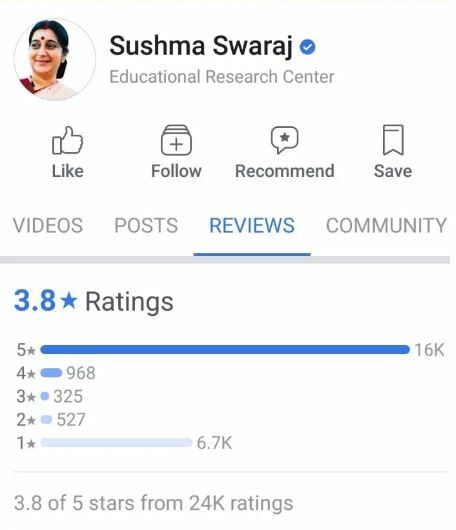 A deluge of 1-star ratings, numbering in thousands, reportedly brought the total rating of Swaraj’s page down to 3.8 stars from 4.3 stars out of a maximum 5. Many social media users took to Twitter (and Facebook) voicing their support for the transferred passport official and criticising Sushma Swaraj for what they felt was a decision taken to “appease” a community. On Thursday, the hashtag #IStandWithVikasMishra had trended on Twitter for a long time. Meanwhile, the police would conduct an address verification of the couple on Monday, a tweet posted by ANI late Saturday said. Lucknow SSP Deepak Kumar said a man identified as Kuldeep has surfaced. He is reportedly an eyewitness to the incident that took place at the RPO and supports Mishra’s version.